Stay productive and on the go with our LiFe powered computer cart. 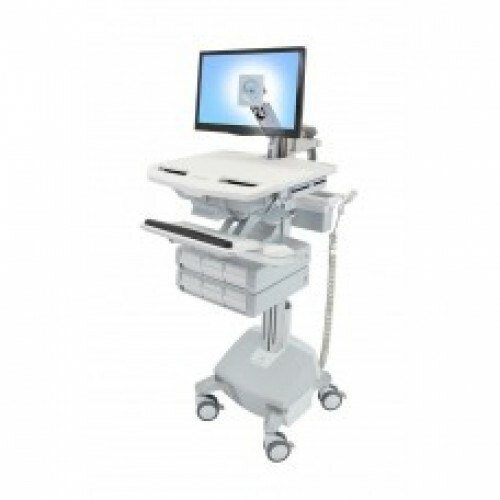 This innovative, truly ergonomic and easy-to-maneuver healthcare cart features sit-to-stand height adjustment, side-to-side LCD and keyboard motion, bi-focal viewing and an adjustable back-tilt keyboard tray. 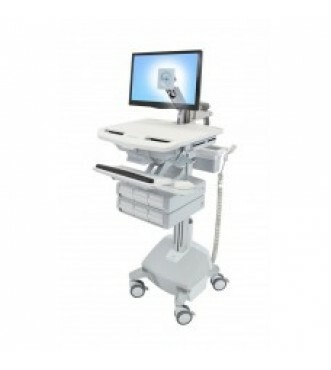 Its auto-locking drawer system enables simple and efficient management of non-controlled medication.